The 480-kilometre-stretch of the Bay of Bengal has an intimate association with the history, social life, culture as well as economy of Odisha. The coastline also has a huge significance for the politics of the state. Encompassing 10 districts, coastal Odisha is home to 70 (of the total 147) Assembly segments. It also accounts for 10 (of 21) Lok Sabha seats. Needless to say, as before, this time too, the coastal belt is in the focus of all major political parties. However, with the Congress in bad shape, it is believed, the main battle in this region is going to be fought between the ruling Biju Janata Dal (BJD) and its principal rival, the Bharatiya Janata Party (BJP). "Across the entire country, there is a tsumami of support in favour of Prime Minister Narendra Modi and the BJP. It's much bigger than that of 1984 (for Rajiv Gandhi and the Congress). I have never seen such a wave in Odisha. I am confident we will win not only in the coastal region, but the entire state," asserted BJP national secretary Suresh Pujari. He is chancing his luck from the Bargarh (western Odisha) Lok Sabha seat. However, not many are ready to back Pujari's optimism. 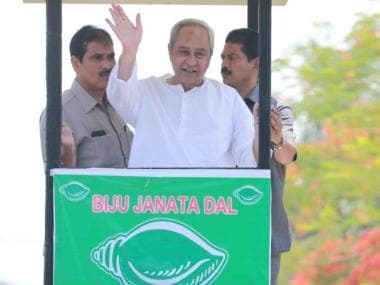 They believe the saffron party will do well in some pockets of this region and is likely to give the BJD a tough contest in many Lok Sabha seats — Puri, Bhubaneswar, Cuttack, Kendrapara and Balasore. 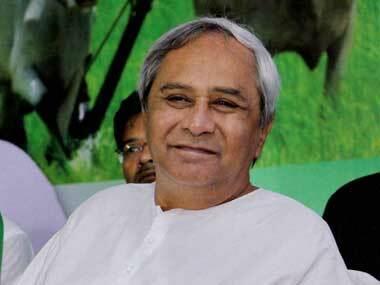 "Patnaik enjoys immense popularity here," a Congress leader said. However, he added, "The BJP has chances to gain in some pockets; it will fight hard in a few Lok Sabha seats." Frankly speaking, the BJP's strength has been confined to the western part of the state and also a few tribal pockets. 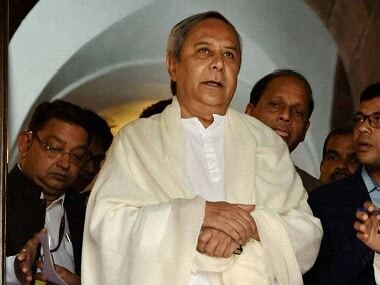 In Odisha's coastal political landscape, it lacked much visibility. In 2014, the BJD won convincingly in the Assembly segments and bagged all 10 Lok Sabha seats in the region. In the 2017 panchayat polls, the Hindutva party did exceptionally in the western region, but failed to breach the BJD stronghold in the coastal belt. However, the saffron party's pre-poll upsurge has surprised politics-watchers and even the Opposition parties are watching its moves carefully. "This time, the BJP's visibility is quite prominent. It can't be taken lightly," said a BJD leader. Experts believe, in the 2019 election, the Narendra Modi and Amit Shah-led party is likely to put up a superior show in the coastal stretch. "The BJP will definitely do better as compared to the last time," said senior journalist Dilip Satpathy. According to Satpathy, over the past three years, the saffron party has worked hard to strengthen its base in the region. It will also benefit from the migration of known faces from the Congress and BJD. "Each leader comes with his or her own supporters," he maintained. However, he quickly added, "As far as poll management at the grassroots level of the coastal region is concerned, the BJP still has a lot of work to do." Another senior journalist, Sandeep Sahu felt that the BJD is perhaps aware that "a strengthening majority from this belt is not a reality", and, perhaps, that's why, Patnaik has shifted his focus to western Odisha. "It's a concerted effort by the BJP to get into the BJD bastion by targeting those leaders sidelined or denied tickets by the BJD," Sahu said, "The Congress is in an irretrievable position. For its supporters, the BJP is always a better bet." Incidentally, sidelined or denied tickets, or for some other reasons, a host of BJD and Congress leaders, including some senior names, have jumped into the lotus pond. Most of them are contesting on BJP tickets. For example, veteran MP from Bhadrak, Arjun Sethi quit the BJD over the denial of a ticket to his son, Abhimanyu Sethi, who is the BJP's nominee from his father's seat. Following his expulsion from the BJD, seasoned politician Damodar Rout joined the BJP. He is in the fray from the Erasama-Balikuda Assembly seat (Jagatsinghpur district). Senior former Congress leaders, Bibhu Prasad Tarai and Prakash Behera — both sitting MLAs — are contesting on BJP tickets from Jagatsinghpur (Lok Sabha) and Salepur (in Kendrapara district) Assembly constituencies respectively. Senior BJD MP-turned BJP national vice-president Baijayant Panda is seeking re-election from the Kendrapara Lok Sabha seat. The saffron party expects to gain, not from the "imported leaders" alone. In a bid to boost its chances, the party has successfully managed to bring back its senior leaders — Bijoy Mohapatra and Kharabela Swain. Although Mohapatra has lost successive elections, he is still considered a 'force' for his 'organisational skills'. Both Mohapatra and Swain are contesting as well. According to four-time BJD Lok Sabha MP and senior leader, Tathagata Satpathy, the BJP might win in some places 'by default', and that's due to the bad behaviour of the local BJD leaders. "I perceive if the BJP enters coastal Odisha in some way — it may not be in a major way, then, it will be due to bad behaviour by the leaders," said the politician-editor.